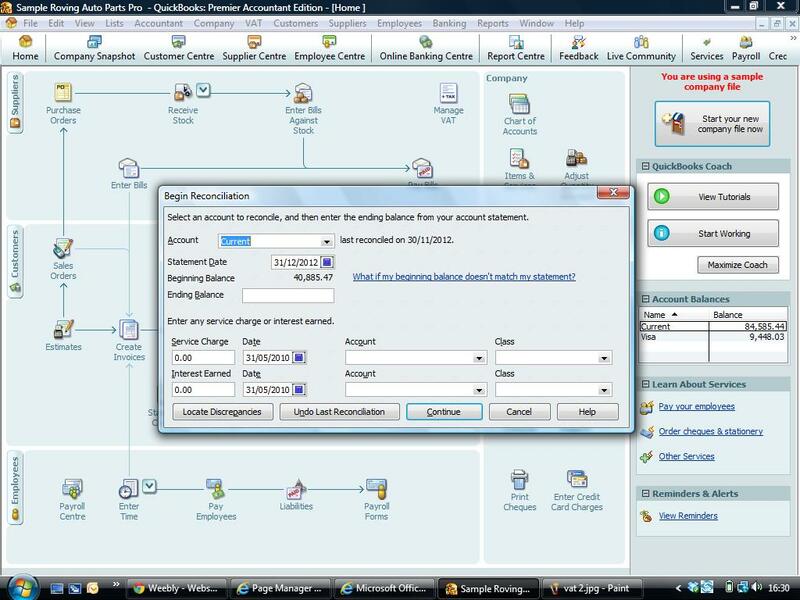 You should reconcile your Bank account in Quickbooks. Go to Banking > Reconcile > Select the account you wish to reconcile. Put in the closing date of the bank statement and the bank balance and any bank charges and interest on the summary screen. 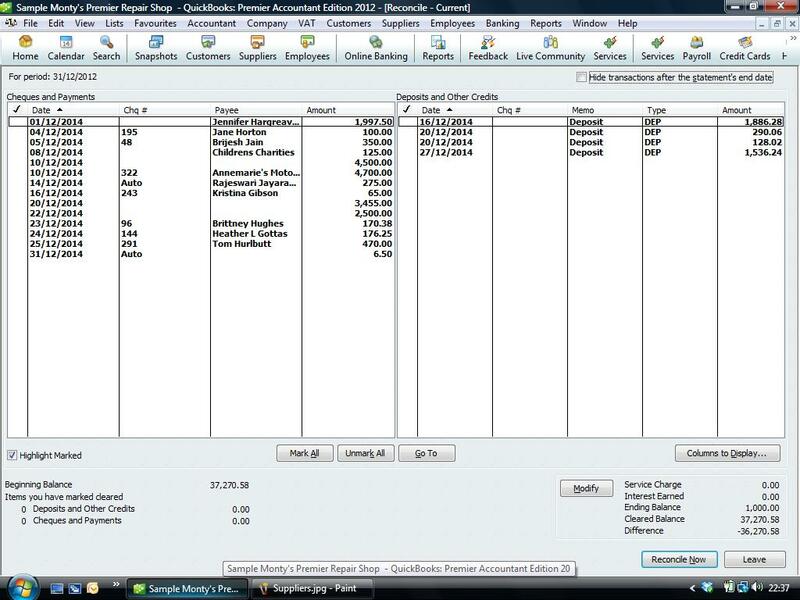 The screen below shows cheques and payments on the left and deposits and receipts on the right. Simply tick these off against the paper statement you have. When your difference is 0.00 you have reconciled the bank. For more details about Bank reconciling and to resolve any problems contact us.